In case you haven’t noticed the explosion of red, pink, and white that seems to have gone off in most stores or the invasion of cute, fluffy stuffed animals holding hearts, Valentine’s Day is right around the corner. According to CNN, the average person will spend $130.92 on Valentine’s Day. Ouch! That’s quite the bill especially when we’re not even 60 days out from Christmas. If you’re wallet could use a breather, consider using printable Valentine’s Day cards rather than purchasing cards. Printable Valentine’s Day cards have several benefits. On top of saving you money, printable Valentine’s Day cards allow you to avoid crowded stores. If you’re the type to procrastinate and wait until the last minute to purchase Valentine’s Day cards, printables will also save you from picking through the measly, and let’s face it, pathetic Valentine’s leftovers. In addition, printable Valentine’s Day cards can be just as cute and romantic as those on the store shelves. Just take a look at the printable Valentine’s Day cards I’ve assembled below. 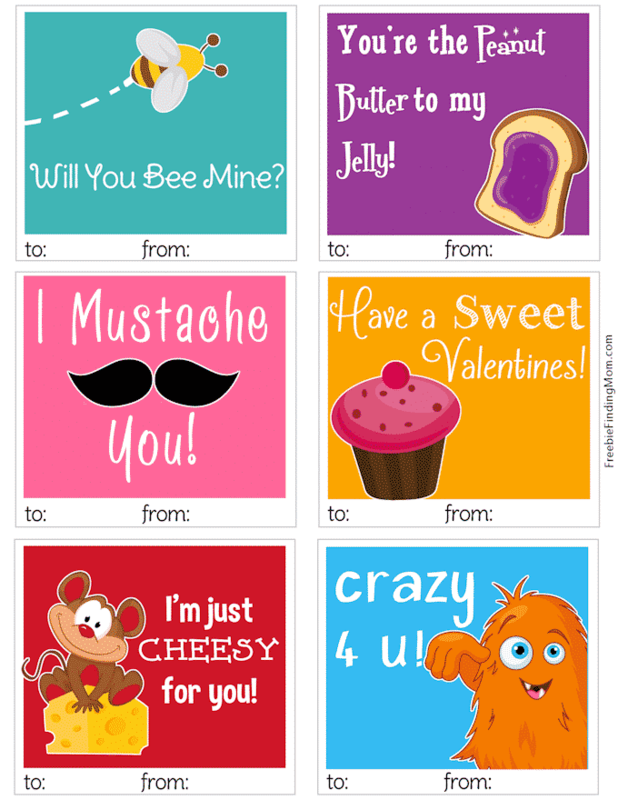 These would be perfect for a kids’ Valentine’s Day party or to give to friends and family. 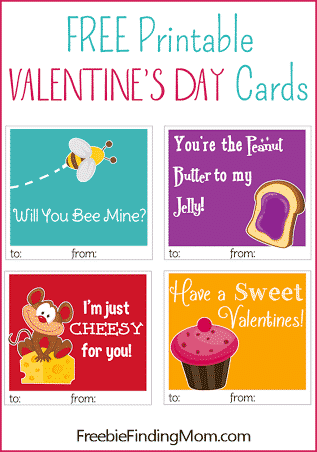 Download your Free Printable Valentine’s Day Cards now! The printable Valentine’s Day cards above are super easy to use. Simple print out a sheet (or as many as you need) and cut them apart. Fill out the “To” and “From” fields, and if you want, write a heartfelt message on the back. Then pair your printable Valentine’s Day cards with a sweet treat (like Hershey’s kisses or sweethearts) or a homemade Valentine’s Day gift. What could be sweeter than saying “Be mine” and saving a little money?